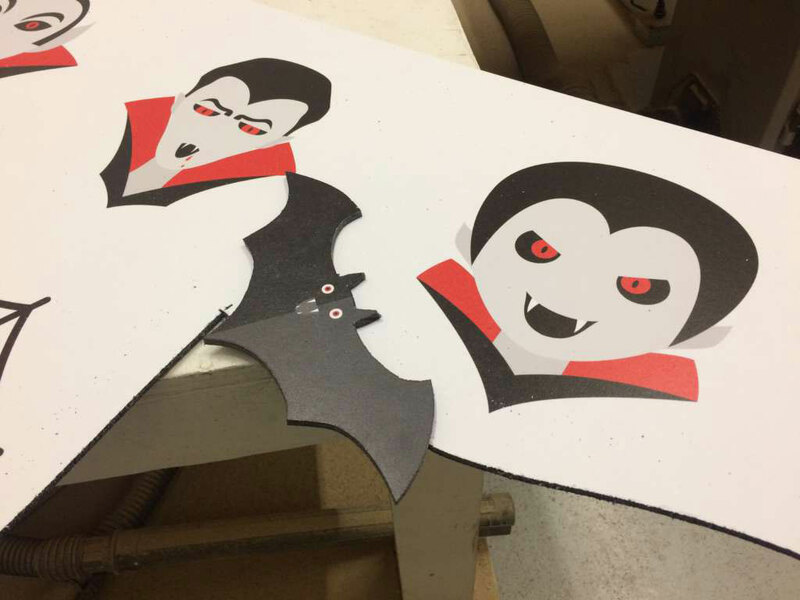 Gatorboard, or Gatorfoam, helps Artisan create custom decorations from scalable vector graphic files. 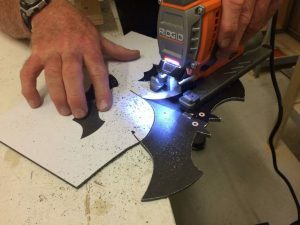 In the past, the team has created bats, spiders, skulls and coffins, utilizing black-cored Gatorfoam cut with a simple jig-saw. 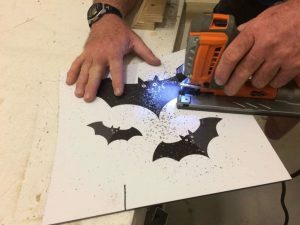 Sent directly to a customer’s door, the Gatorboard prints can be used as is or can be cut by the customer using a jig-saw. The ease of use makes Gatorfoam the perfect substrate for professional and at-home use. Gatorfoam is made in the US and is the industry’s leading, one-of-a-kind high performance foam board for more than 30 years. It is comprised of extruded polystyrene foam bonded between two layers of wood-fiber veneer.